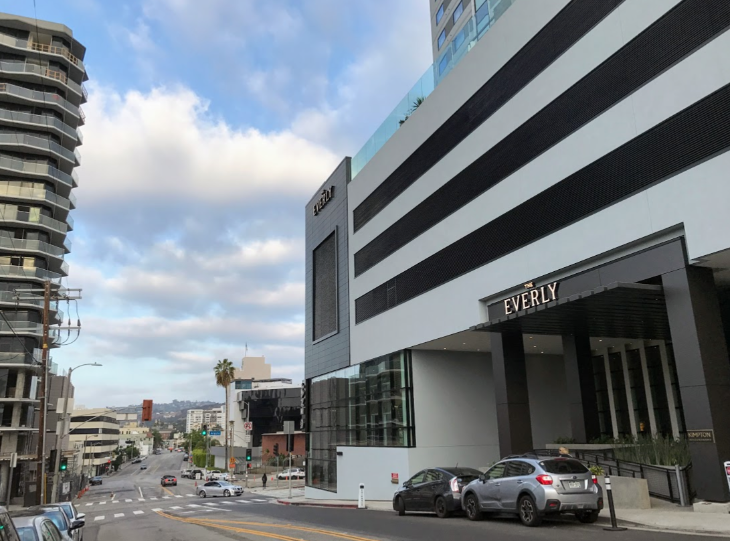 Last week, I checked in to check out the brand new-from-the-ground-up, 216-room Kimpton Everly Hotel, located a few blocks uphill from the famous intersection of Hollywood and Vine. Plus I was there for a handful of meetings and to see other new hotels and hotspots. What’s best about The Everly (aside from the fact that it’s a Kimpton, and only about six weeks old) is its location. 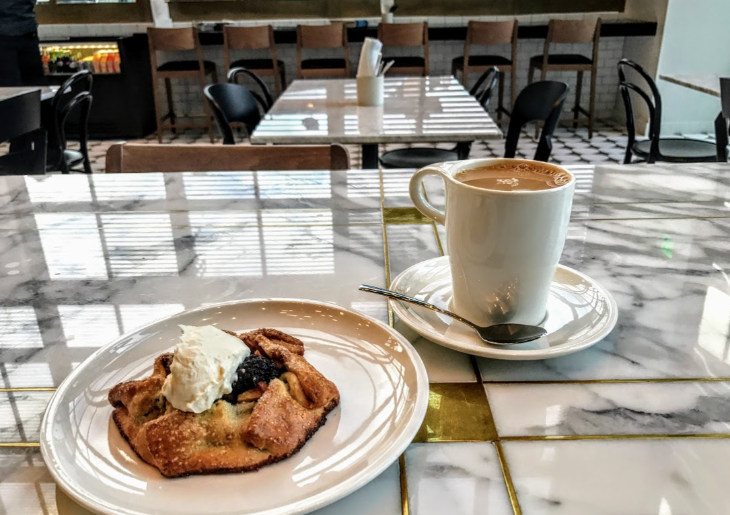 If like me, you have business meetings all over town, it’s perfectly positioned. 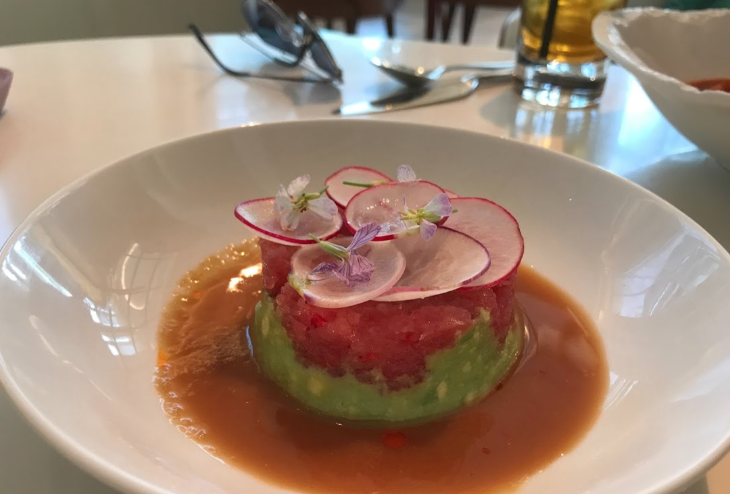 Need to head up to the Valley for a healthy business lunch at Hugo’s in Studio City? Just jump on the 101 freeway– the entrance is a block away from the front door. 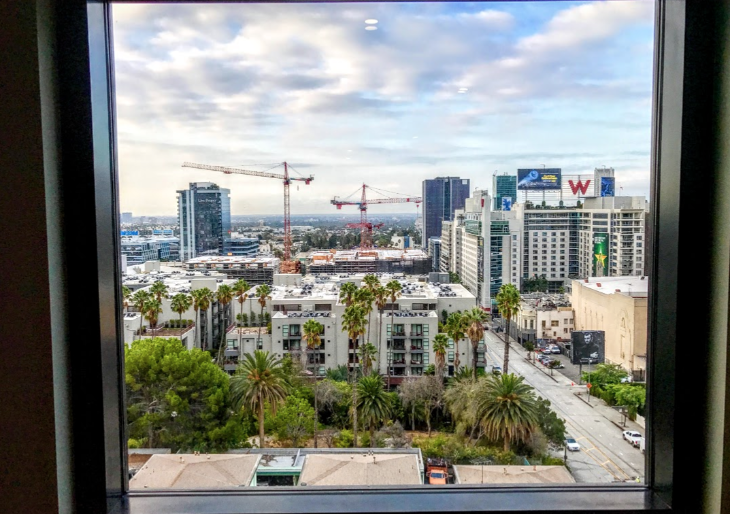 Need to go downtown to the Convention Center or poke around DTLA? Just walk down to Hollywood and Vine and jump on the Metro Red Line. 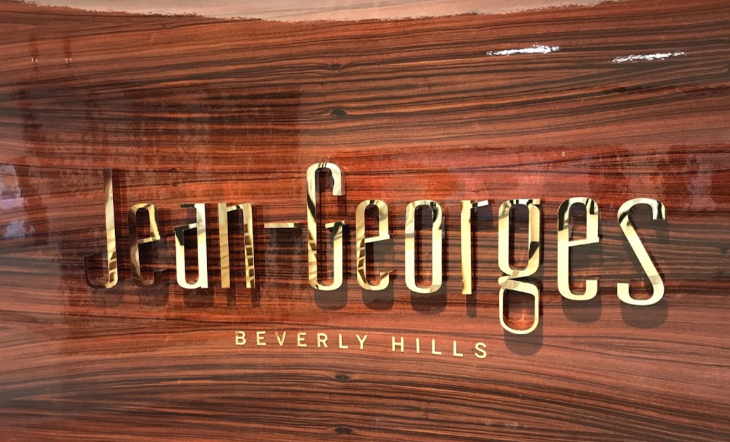 Meeting with your agent for breakfast in West Hollywood (at Butcher, Baker, Cappuccino Maker) or lunch in Beverly Hills (at Jean-Georges)? 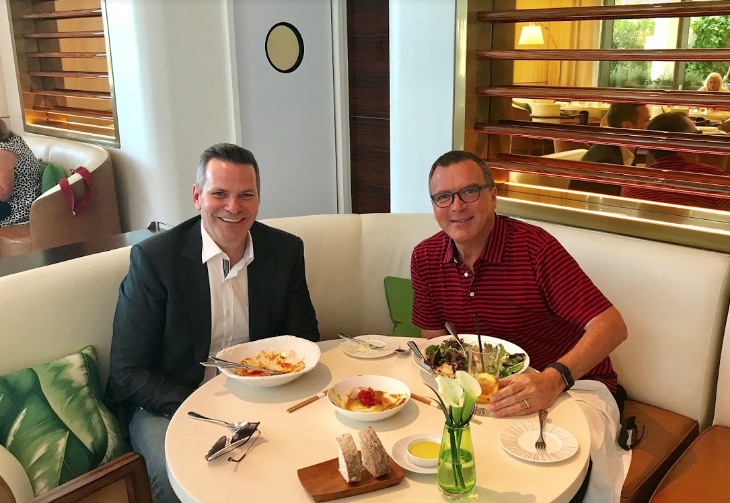 Maybe you’ll get invited to have dinner with a member of the showy, private Soho House. Or a little late night fun at Giorgio’s at MMHMMM at the Standard hotel. 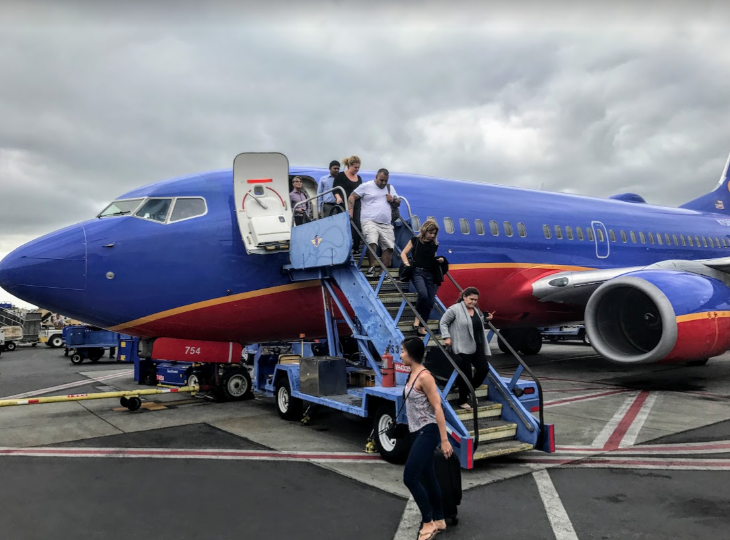 Lyft or Uber is easy to call (about $12 with tip between Hollywood and WeHo)– just budget enough time to be stuck in the area’s famous traffic jams where a 15-minute ride can easily bloat into a 45-minute slog. What else did I like about this hotel? It’s full of tall windows, high ceilings and plenty of light. Which brings me to another big plus: the views! Wow! 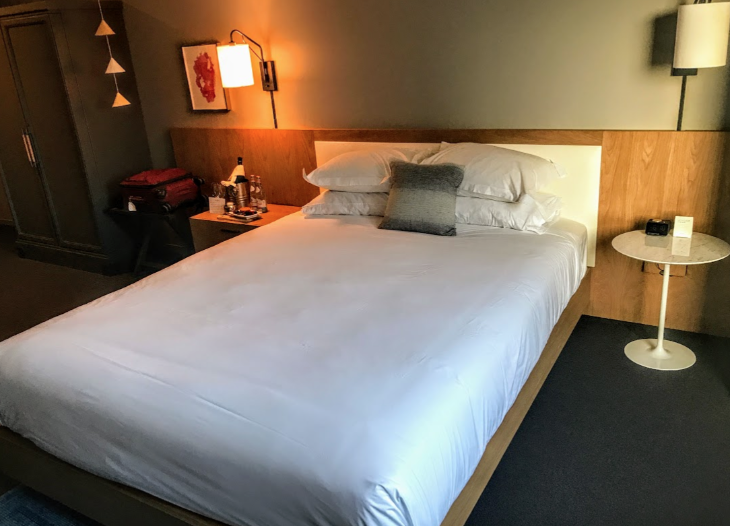 I stayed at the Everly for two nights. On the first night from the 9th floor I looked south over the cranes and construction of Hollywood and the W Hotel tower. 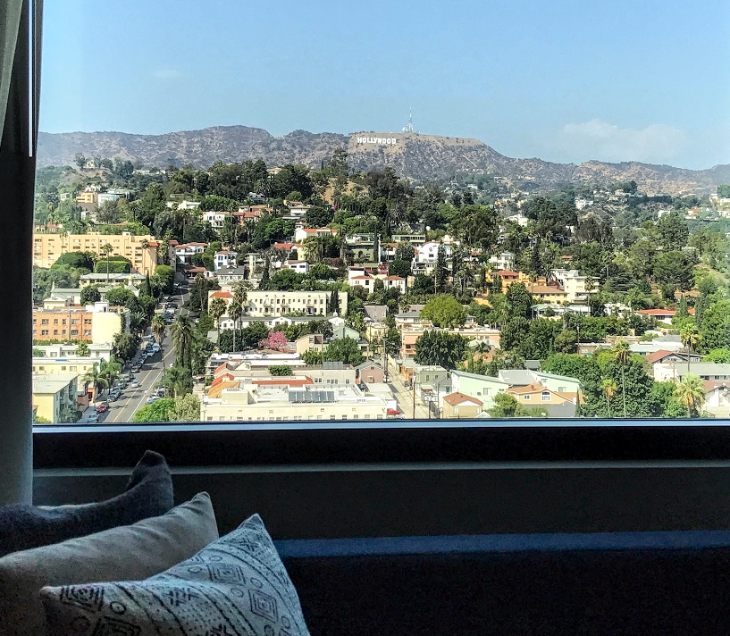 On the second night from the 14th floor I looked north over Beachwood Canyon with the clearest view of the Hollywood sign I’ve ever had. Wow! So if you like views, be sure to ask for a room on a high floor. 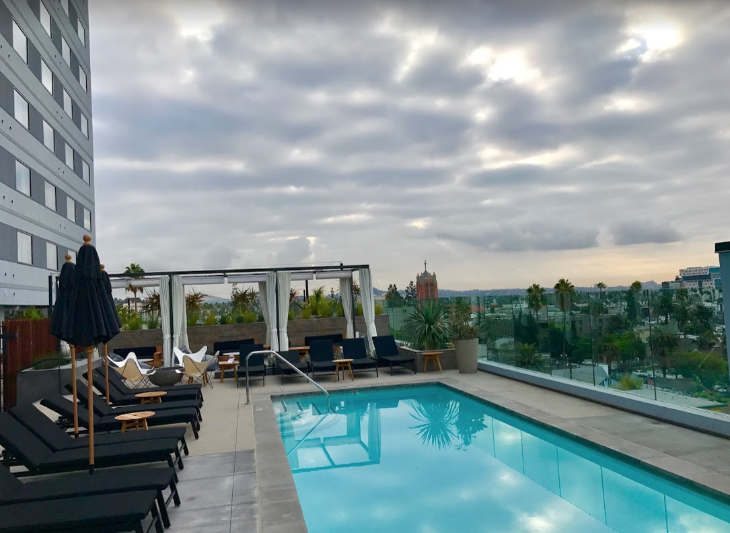 There’s an outdoor pool on the fifth floor looking out over Hollywood, which gets southern exposure, perfect for picking up some rays- so pack your sunglasses. The lobby is bright and lively, filled with mid century modern vibe, comfy furniture, a pool table and a big busy bar. It’s a nice place to spend a few hours in the late afternoon when the wine is on the house and tasty snacks are lined up on the bar. 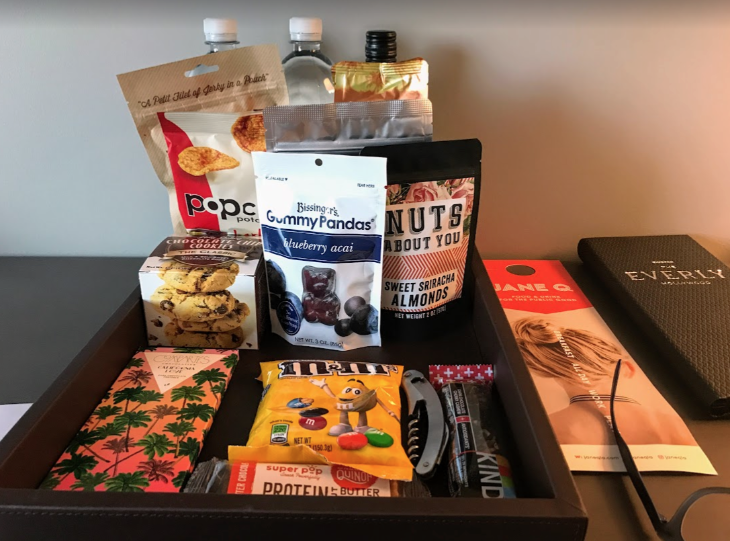 As usual for most Kimpton hotels, the Everly gets all the little things right. 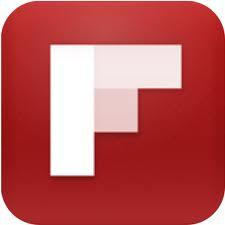 Wi-fi is fast, easy to sign on and free for Karma members. Members also get a $10 “Raid the Bar” credit for mini bar purchases. 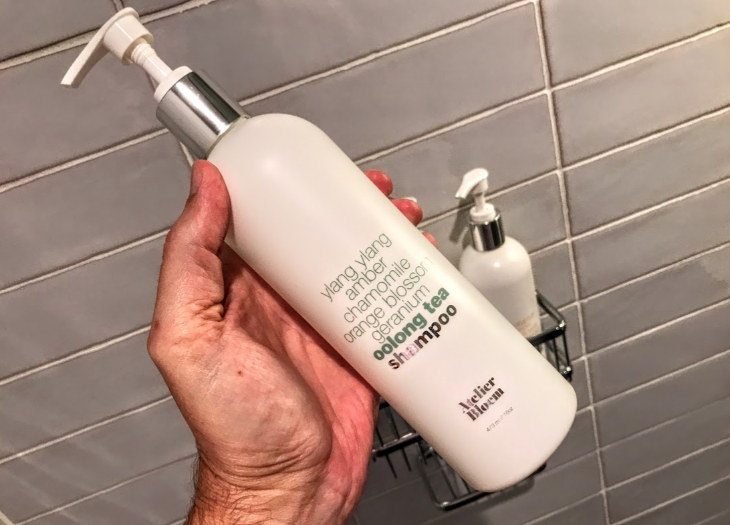 In the bathroom, there are full sized bottles of shampoo, conditioner and shower get that are plainly marked. Lights are bright and beds are covered in Frette linen. 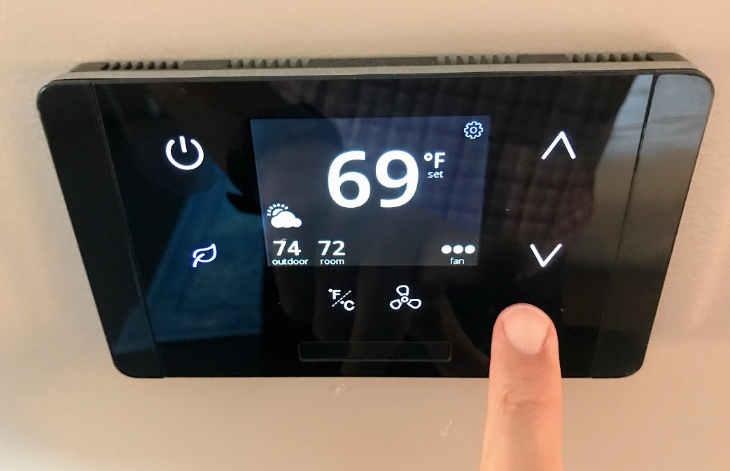 Something new I saw on this trip– a new type of thermostat that has a haptic touch… when you push it to raise or lower the temperature, it vibrates. And thankfully, it felt like it was not motion sensitive, and did not turn off in the middle of the night. 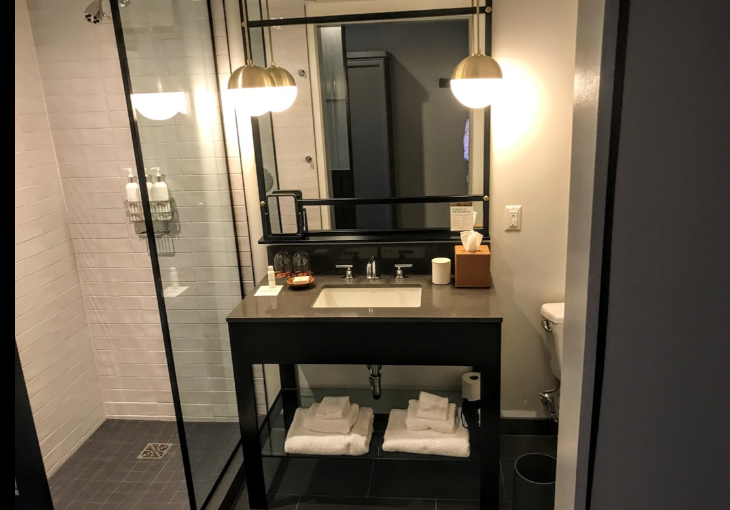 The only thing I did not like about the room set up was the sliding barn door to the bathroom— these are fine when traveling alone, but do a poor job blocking sounds and smells when someone else is in there! 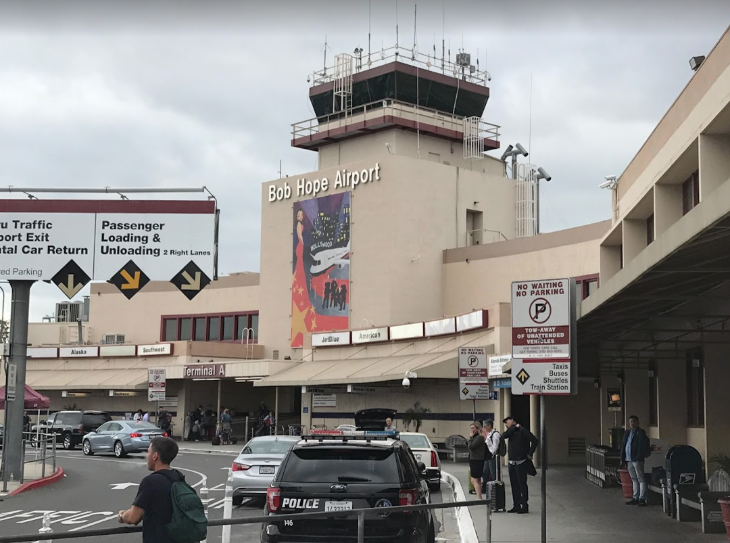 I flew into Burbank and I had a rental car for this trip, which proved expensive (parking is $42 per night + tip) and a bit of a hassle as getting in and out of the entrance is a little counterintuitive. 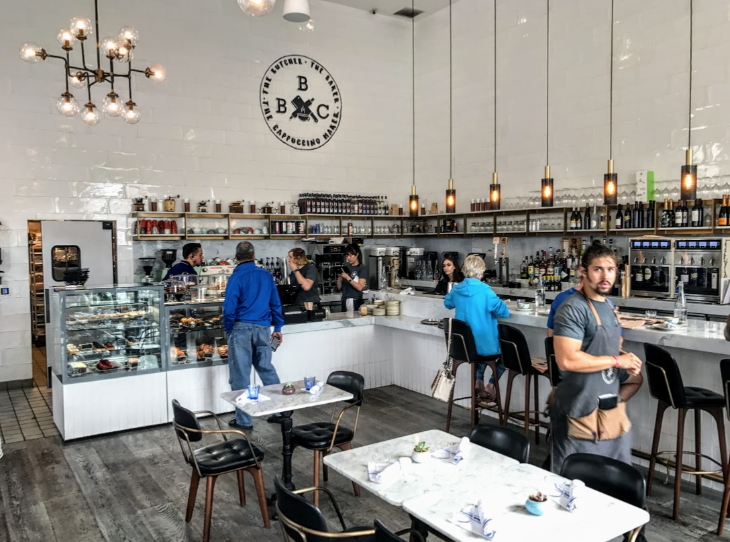 Breakfast is a quick, easy and casual affair at the hotel’s perky Jane Q restaurant on the street level– great coffee (I just went for the drip variety, which is free for hotel guests) plus there’s plenty of pastries and egg dishes to choose from while taking in the view out onto the street. 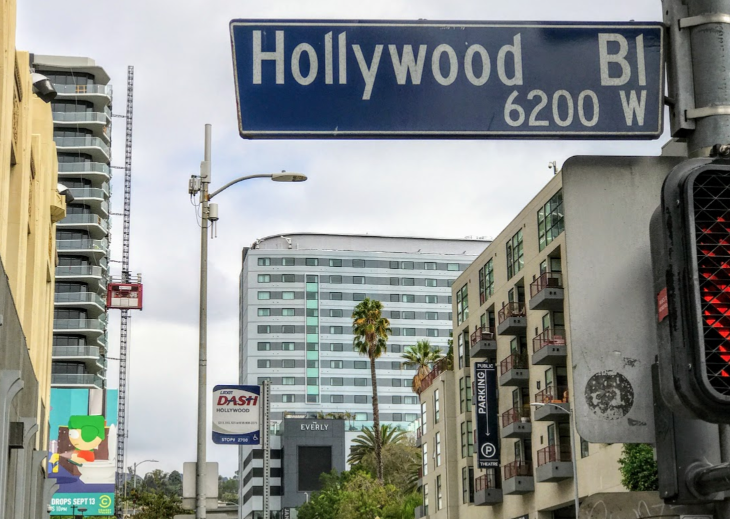 For my morning walk around the ‘hood I headed down Argyle Avenue four blocks to Hollywood Boulevard to see the famous stars embedded into the sidewalk. Down there the neighborhood feels a bit sketchy. I was fine walking around there in the morning, but would probably avoid being on foot at night. 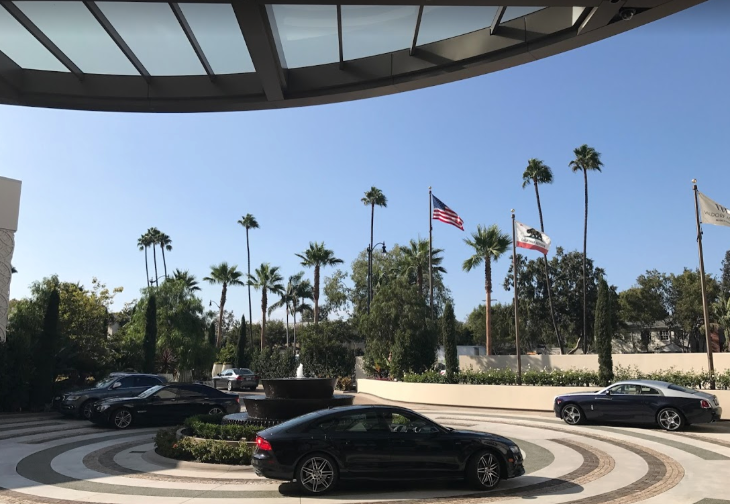 While there, I was lucky enough to have time to check out the spectacular new Waldorf-Astoria Beverly Hills (where rates start at about $600/night), located next door to the Beverly Hilton on the triangle where Santa Monica and Wilshire Boulevards intersect. 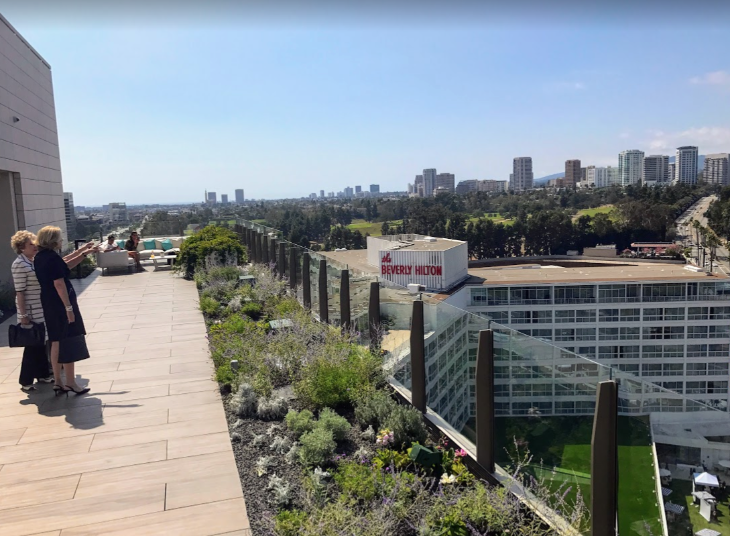 While the lobby of the hotel is gorgeous, the real show is up on The Rooftop— take a ride up for lunch and soak up the spectacular views (of the city and the people watching). 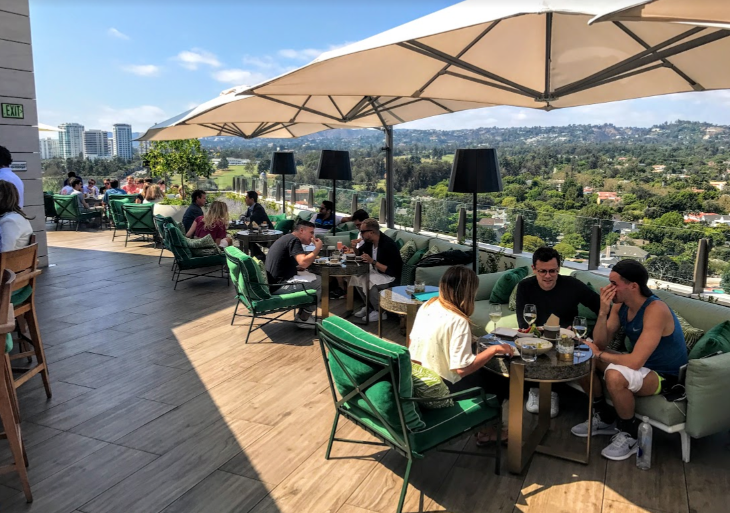 Also new on the hot LA hotel scene is the recent opening of the 286-room Jeremy Hotel on Sunset Boulevard on the western edge of West Hollywood– it was first going to open as The James hotel, but that fell through and the showy property sat vacant for months. 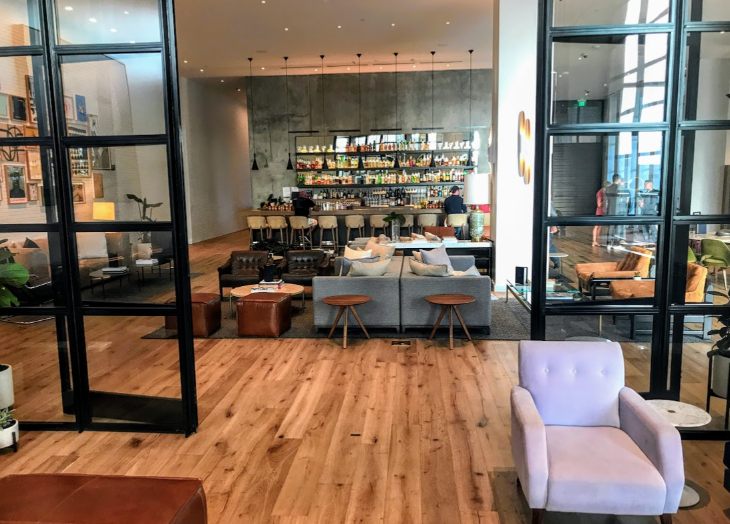 Now it’s the Jeremy, but not for long– word on the street is that the hotel will soon be the first West Coast outpost of Barry Sternlicht’s popular new One Hotels. 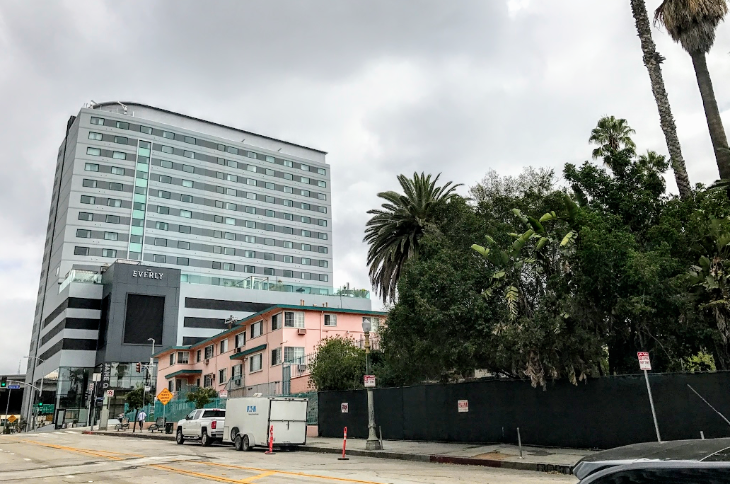 Plus, Kimpton is not done with LA yet… in a few months it will open the new 105-room La Peer Hotel between Santa Monica and Melrose in West Hollywood. Details here. 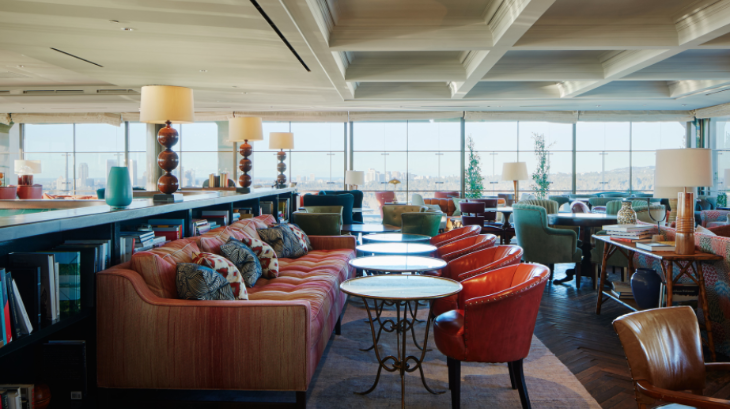 No photos are allowed inside the members-only Soho House so I had to grab this one from its website. It’s located on the top of an office building on Sunset Boulevard on the western edge of West Hollywood. What’s your favorite place to stay or play in LA?? Please leave your comments and suggestions below.